Having a website in today’s business climate has become essential. Much like practicing without an office, wearing dirty, tattered T-shirts to business meetings, or showing up at events with no business card, operating without a website works against you. Even if you don’t use the power of the web to drive new client acquisition (and that avoidance in itself is becoming more rare), a website is necessary. No matter where someone finds out about you, and whether they are a potential client or a colleague in the field, the first thing they do is visit your website to learn more about you. While a website by itself is likely not enough to convince a client to sign with you, not having a website — or having a poorly put together site — can certainly turn them away. 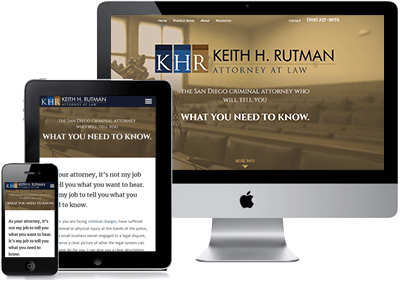 Learn what makes an effective attorney website, including the power of well written copy, and some specifics of what attorneys should have on their websites. Though it is not the only platform, Google Ads leads the field of Pay-per-click marketing (PPC). For you as an attorney, it is one of the most powerful, effective ways to connect with potential clients in your specific field. The targeting, presentation, and data tracking provided by Google are remarkable. In the hands of a skilled PPC marketing expert, they are phenomenal. Search Engine Optimization (SEO), sometimes referred to as “organic” search marketing, is the gradual process of building a presence in search results for terms and topics relevant to your practice. Websites, PPC, and SEO, are each powerful online marketing tools when used alone. However, when all three are properly combined, the whole is definitely more than the sum of the parts. 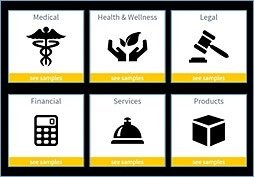 The law firm web marketing power created by the interaction of these tools is phenomenal.